Work on the Aldi store on Butler Boulevard has begun. WORK recently started on the Aldi supermarket in Butler, which is due to open in the second half of this year. A spokeswoman said across WA, the supermarket chain had already hired its first 45 store managers and some retail assistants and trainee store managers. “Our long-term investment in the state will create up to 1200 new permanent jobs,” she said. The Butler store, located on Butler Boulevard, will cover about 1500sq m, with two thirds of that retail space. “When establishing a new store, Aldi considers the long term potential of the area and population numbers,” the spokeswoman said. “We work closely with local planning bodies such as the council, other businesses and community groups to ensure Aldi will positively impact the community. 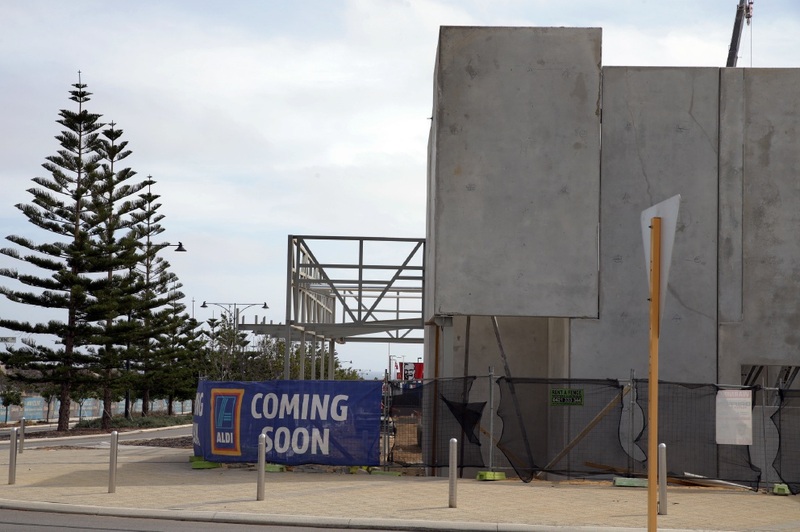 Butler already has three other supermarkets – Coles, IGA and Farmer Jacks – with a Woolworths shopping centre also proposed along Butler Boulevard.